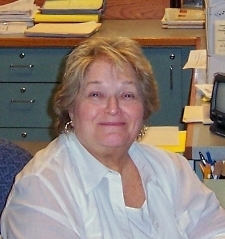 Marci Sobczak was the Secretary for the Department of Physician Assistant Studies since 1993. During that time, Marci impacted the lives of countless students and co-workers at Duquesne University. Her smile, humor and uplifting spirit provided solace and inspiration to everyone who knew her. Her positive attitude, kindness and compassion made every day enjoyable. To those who had the honor and pleasure of knowing her, Marci was much more than the Department's secretary. She was our friend and colleague. Since her untimely passing in March 2008, The Department of Physician Assistant and the Sobczak family have worked to establish an award in loving memory of Marci Sobczak. This award, known as the “Marci Sobczak Spirit Award” provides financial support to the 4th year Physician Assistant student who best embodies the positive attributes that Marci was well known for. A positive attitude, kindness and compassion towards others, a cheerful and upbeat personality, and a willingness to help others are just some of the traits that the awardee will possess.